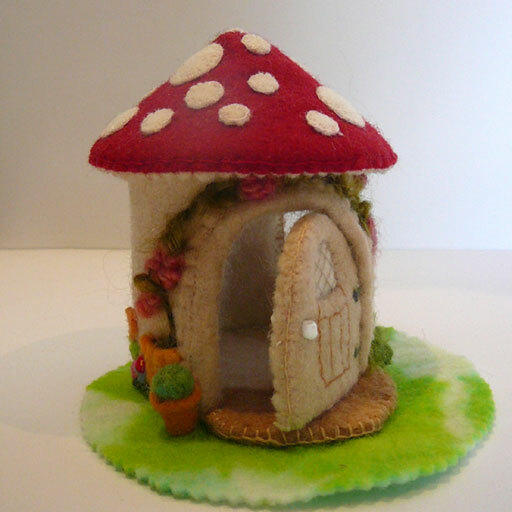 For many years an urge to make a mushroom house has been simmering. Such a project does seem to be a cliche or perhaps it might be regarded as a story telling icon, but it is a concept that has been around for a very long time and interpreted in countless ways in various art forms. 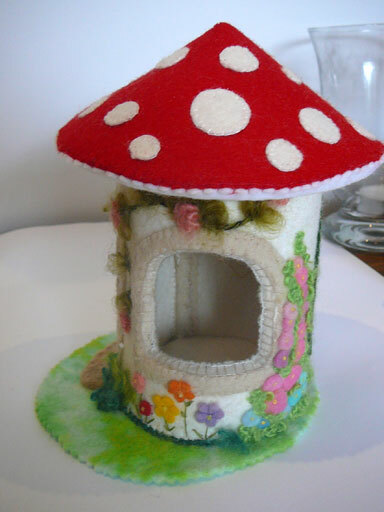 This idea was first presented during childhood, when my little sister was given Noddy books by Enid Blyton, and gave such delight trying to imagine how it would be to live in a little mushroom house for real. Many a day dream evolved. From that time sketches also happened. I have many, and also have lost and binned many of these over the years . However, in the last decade especially, I have pondered more on how to create one myself. A whimsy that needed to represent the “reality” of make believe. This year it happened. A small experimental mushroom house that had sat in bits for over two years or more came together, much inspired by Nikki and Mia of Toadstool house. Then there was another and…. However, I need to work out a better process. 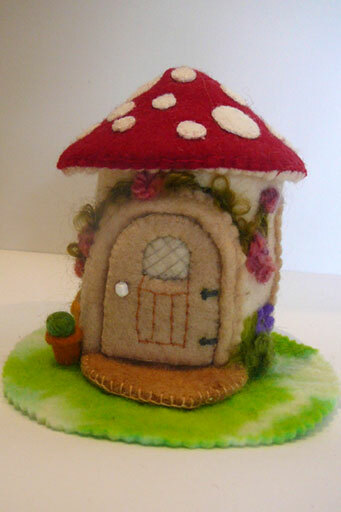 My creations are formed from a very hard, thick felt, embellished with hand embroidered, beaded and appliqued details. Stitching through the thick felt is extremely cruel to finger tips but it does give a good solid foundation. 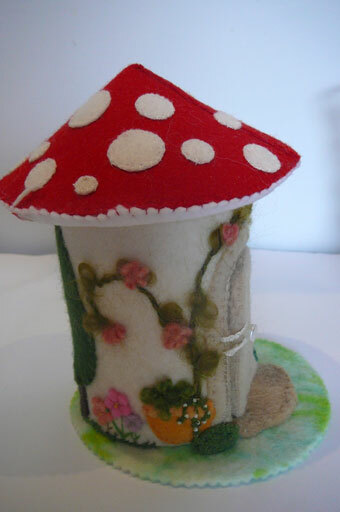 For now other projects are calling but one day a fairy village might emerge .